Bobby González is a nationally-known multicultural motivational speaker, storyteller and poet. Born and raised in the South Bronx, New York City, he grew up in a bicultural environment. González draws on his Native American (Taino) and Latino (Puerto Rican) roots to offer a unique repertoire of discourses, readings and performances that celebrates his indigenous heritage. 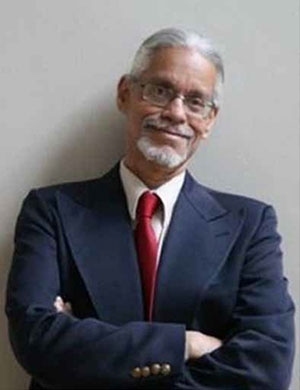 González has lectured at many institutions including Yale University and, as a storyteller, he’s had the privilege of performing at Carnegie Hall, the Museum of Television & Radio and the Detroit Institute of Arts. His poetry readings have been featured at the National Museum of the American Indian, the Nuyorican Poets Café and at other locales. González specializes in encouraging audiences of all ages and backgrounds to succeed, fulfill their full potential and adjust to a changing world by becoming more aware of the rich history and accomplishments of their ancestors. He urges listeners to be more sensitive to the various cultures and belief systems of their neighbors and colleagues.